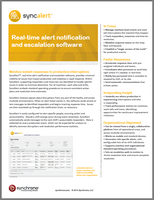 Resources for SyncAlert®, real-time alert notification and escalation software that provides universal visibility to issues that impact production and mobilizes a rapid response. SyncAlert receives signals about disruptions from any part of the facility and across multi-site environments. When an alert ticket comes in, the software sends emails or text messages to identified responders and begins tracking response time. Issues are then escalated up through the notification chain as necessary, to minimize downtime. 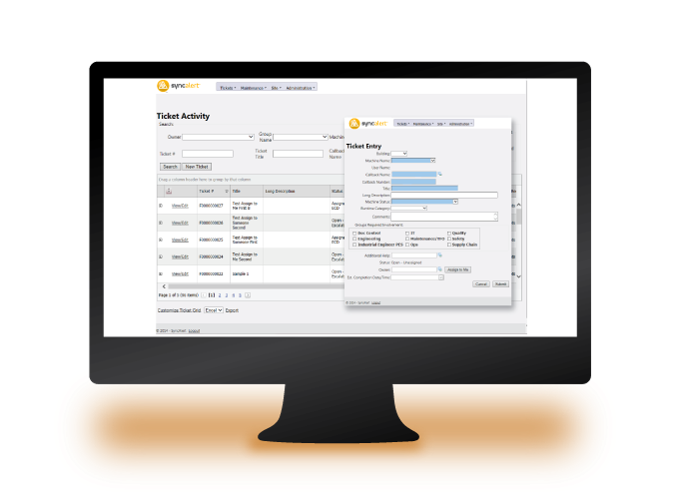 Watch the demo to see how you can reduce downtime and maintain on-time deliveries. SyncAlert® software is a real-time alert and escalation software system that provides universal visibility to issues that impact production and mobilizes a rapid response based on your standard operating procedures. SyncAlert® software provides universal visibility to issues that impact production and mobilizes a rapid response. Within SyncAlert®, supporting responders and resources are identified to handle specific issues in order to minimize downtime. 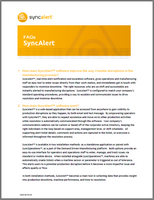 For all machines, work cells and shifts, SyncAlert® embeds standard operating procedures to ensure consistent action plans and resolution time estimates.